Australia international winger Ben Halloran has returned to the A-League with Adelaide United. The 26-year-old has signed a two-year deal with the Reds, having spent the last five years overseas. He broke through with Gold Coast United in 2010/11 and had a season with Brisbane Roar before Fortuna Dusseldorf paid $400,000 for him in 2013. During his time in Dusseldorf he was called up into the Socceroos squad by coach Ange Postecoglou and played as a substitute in all three group games at the 2014 World Cup in Brazil. The six-cap international feels he's benefitted from his time abroad, which most recently took him to Japanese side V-Varen Nagasaki. "Coming back to Australia I'd have to say I'm a more well-rounded footballer and playing in Germany and playing in Japan they're both quite high levels, which helps a lot," he said. 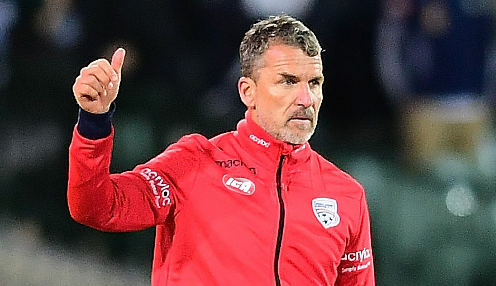 "To date, I'm yet to win any silverware so I definitely have ambitions of coming to Adelaide to win something and to win the FFA Cup would be a great start." United coach Marco Kurz said of Halloran, who is his sixth signing of the off-season: "He is a very versatile attacking player that will be important for us in the new season. He knows the A-League from playing here for a few seasons when he was younger." Halloran can operate as a forward, as an attacking midfielder, or as a winger. The Reds still have a couple of spots to fill in their squad, with eight players having left since the end of last season. Adelaide are 12/1 to win the 2019 Grand Final. The Reds are 17/10 to win their first game of the season against Sydney FC, who are 6/4 with the draw 12/5.